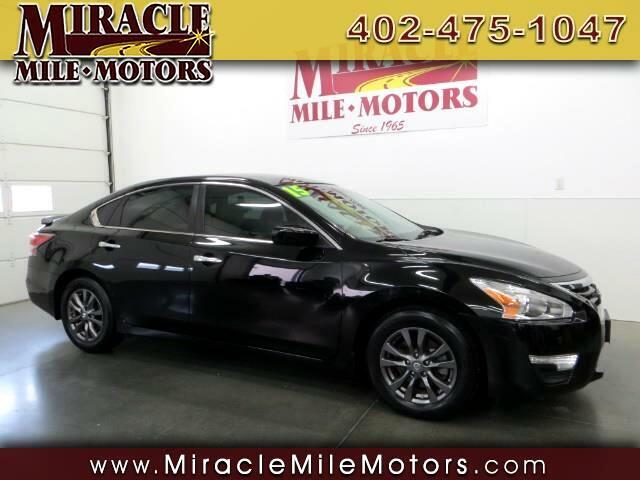 Very Clean Altima Sport Value Package With Low Miles and Lite Interior. One-Owner, Clean CARFAX. Bluetooth Hands Free, 2.5L I4 DOHC 16V, 16" Aluminum Alloy Wheels, Rear Spoiler, 6-Way Power Driver Seat, AM/FM/CD/MP3 Audio System, Power Driver Seat Package, Remote Engine Start, Speed control, , Telescoping steering wheel, Tilt steering wheel.